Mozilla and Samsung, sitting in a tree. P-r-o-g-r-a-m-m-i-n-g.
OK, maybe it's not as catchy as the childhood diddy, but the point remains that Mozilla and Sammy have gotten quite cozy as of late. So close that they've actually collaborated on a new web browser engine. 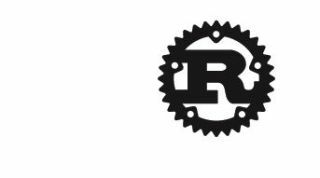 The companies revealed today the inception of Servo, an engine written on Mozilla's new Rust programming language. The experimental browser is primed for multi-core computing and addresses "the causes of security vulnerabilities." Rust and Servo (not the name of the next popular comedy duo, we're sure) are coming to both Android and ARM, "an exciting step" to starting "deep research with Servo on mobile," a Mozilla blog by CTO Brendan Eich read. Turns out that Samsung has provided the ARM backend to Rust as well as the build infrastructure needed to "cross-compile to Android." "We, along with our friends at Samsung will be increasingly looking at opportunities on mobile platforms," Eich wrote. Hmm ... "mobile platforms?" Interesting, because as AllThingsD pointed out, Mozilla is working on its own mobile Firefox OS, while Samsung has been the standard-bearer - or at least most successful manufacturer - developing on Android. And of course, there's Tizen, an open-source operating system Sammy has its fingers in along with several other firms. The Samsung/Google dynamic has a bit of a question mark lately, specifically as Samsung's stature grows while its reliance on Android and tether to Mountain View remains intact. Google is also in danger of losing control of the "monster" manufacturer it's created - all Samsung has to do is point to its sales and consumer cache. Servo and Rust are still in the early stages, but it will make for good watching to see how the various pairings Samsung finds itself in end up playing out.